The objective of this work is to conduct an experimental and numerical study on metal hydride (MH)-based hydrogen storage systems. Firstly, a multi-dimensional, unsteady, non-isothermal mathematical model rigorously accounting for the reaction kinetics and heat & mass transfer mechanisms during the hydrogen absorption and desorption processes in MH storage system will be developed. Then the model will be validated against available experimental data in the literature, result analysis (understanding parameters, such as temperature evolution, H/M atomic ratio, hydrogen velocity, equilibrium pressure etc., and resulting heat & mass transfer phenomena in MH vessels) and suggesting appropriate metal material and optimizing the vessel design/operating conditions/cooling systems to obtain favorable hydrogen absorption/desorption behavior will be performed. From these simulation results, next step is to design, fabricate and test the MH vessel. Performance (storage capacity and storage time) studies will be carried out by varying the supply pressure and the cooling/heating temperature of the hydride bed. Further, the mathematical model will be used to explore the feasibility to store tritium, which is considered as a radioactive waste from nuclear reactors but found many industrial applications and as a fuel for nuclear fusion, in Uranium/ZrCo/Titanium based MH storage systems. Dr. Purushothama Chippar is currently working as an associate professor in the department of mechanical engineering at St. Joseph Engineering College (SJEC), Mangalore. 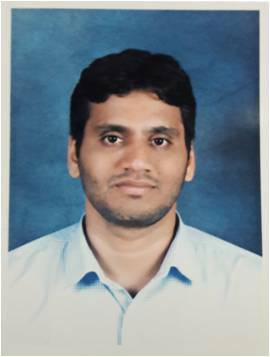 Prior to joining SJEC, he worked for Honeywell Technological Solutions Lab (HTSL), Bangalore as a Senior Technologies Analyst for about 2.7 years. He is well experienced in identifying technology gaps, formulating technology and IP strategies, patentability searches and he has conducted several workshops, brainstorming sessions to drive new ideas and concepts. He pursued his PhD from Inha University, South Korea in 2013 with dissertation title “Theoretical study of electrochemical and transport phenomena in fuel cells”. During the PhD, his research interests were primarily directed towards modeling and simulation of fuel cells to accurately predict their performance, to study their durability and dynamic behavior. He has developed very comprehensive mathematical models involving multi-component, two-phase transport, chemical reactions and heat transfer for fuel cells. He pursued Master of Engineering in 2007 and Bachelor of Engineering in 2005 from Inha University, South Korea and Malnad College of Engineering, Karnataka, respectively. Till date he has published 14 peer reviewed articles in International journals and several conference papers. One of his inventions on Aircraft prognostic methods is filed for U.S. Patent application. In Honeywell, he received a Meritorious Innovation Award in lieu of Patent Filing “Monitoring, Tracing and Building of Cannibalized Aircraft/Helicopters/UAVs’.